Open up a world of possibilities with this fantastic addition to your yacht. Whatever you need a tender for, we have a huge variety that will open up a world of a new activities and destinations to you. 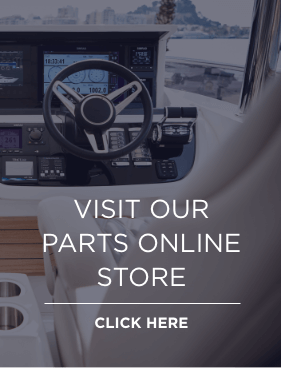 From exploring hidden bays, to towing toys, or simply running back and forth from shore – our specialist team at Princess Motor Yacht Sales Individual can guide you to finding the right tender not only in size and power but in practicality, ensuring you can safely launch and recover it yourself with ease. Blending pleasure with practicality, getting from ship to shore has never been more stylish. Simply anchor in a bay and hop on board your tender to take a trip around the clear blue waters or to the nearest white sandy beach. 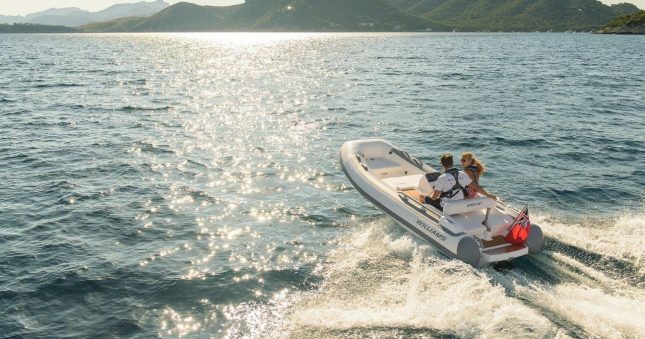 For a bit of adventure, push the throttle forward and experience a surge of adrenaline as the tender kicks into action, powered by the versatile jet propulsion system. This tender gives those with smaller yachts the opportunity to truly experience these high-performance super-fun jets. Designed to fit on the back of a 16m/52ft+ motor yacht, it might have a smaller LOA, but that doesn’t stop it comfortably seating five adults. 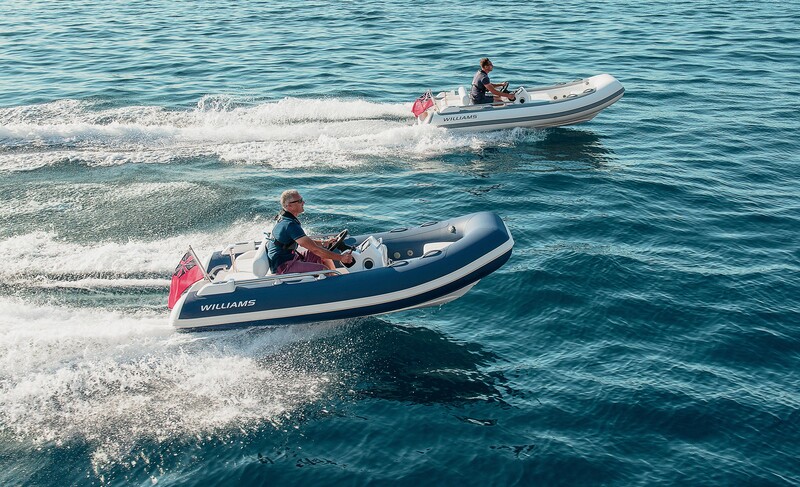 The BRP Rotax engine also packs a punch, while the sports hull gives impressive stability to create an exceptional craft. Whether you’re pulling a skier or going in search of unspoilt turquoise coves and deserted golden beaches – it’s always a pleasure. This beautifully designed tender is made to perform, in every way. The reliable, powerful engine gives you lighting quick acceleration, while the clever social seating configuration gets passengers even closer to the action. 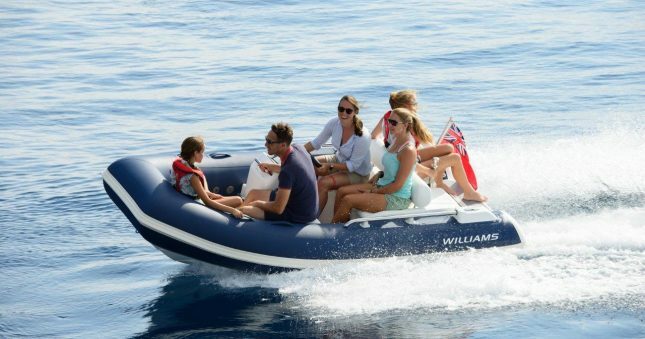 Plus, it can seat comfortably up to six adults which is extremely impressive for a tender of this length. The increased tube diameter also improves stability, providing a dryer ride in chop, giving you greater freedom to go further, and do more. Enjoy endless memorable days of fun, relaxation and sporting action, whatever the conditions.